Today was a relaxing day in Kathmandu soaking up the sights, sounds, colour but most importantly, for me, the people! Nepal and the Nepalese people fascinate me. The day started with a morning in Patan – Patan, an ancient fortified town, was founded in 745 AD by Vanraj Chavda, the most prominent king of the Chavda Kingdom. He named the city Anhilpur Patan or “Anhilwad Patan” after his close friend and Prime Minister Anhil shepherd. (wikipedia). And the midday around the Boudhanath Stupa (or Bodnath Stupa) which is the largest stupa in Nepal and the holiest Tibetan Buddhist temple outside Tibet. It is the center of Tibetan culture in Kathmandu and rich in Buddhist symbolism. The stupa is located in the town of Boudha, on the eastern outskirts of Kathmandu. (sacred-destinations). The close of the day allowed runners to obtain race numbers, have equipment checked and as I write this, the race briefing is about to start. Tomorrow we leave Kathmandu for Jiri, a journey of 7-8 hours and our first overnight camp. Racing will start on Thursday at 0900. Andorra will host the fifth stage of the Skyrunner® World Series with the SkyRace® Comapedrosa coming just one week after the Skyrunning World Championships that took place in Spain. Arinsal, a small ski resort within Andorra will have 370 runners toe the line to take on the challenge of the 21 km course. The ascent involves a brutal 1,000 metre-high vertical wall over just 2 km which will test the best to the summit of the Comapedrosa at 2,942m the highest point in Andorra. Starting with a paved road up to the Coll de les Cases (1958M), a very straight road through a wooded area follows and from this point the runners will encounter a stretch of ridge with much height and little vegetation. Climbing up to the Pic de les Fonts at 2748m the Pla de l’Estany follows. Now the beautiful and challenging climb begins, a true vertical wall of more than 1000m of positive difference in about 2km. A VK within a race! 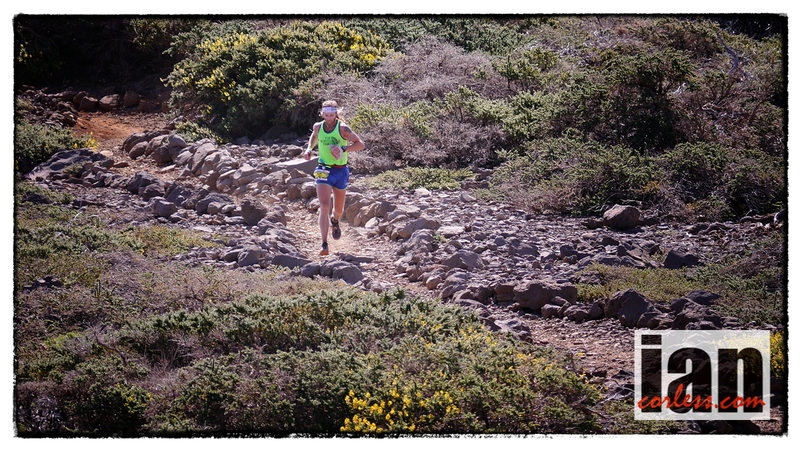 Without a marked path, the runners follow markers to the summit of Comapedrosa at2.942m. The descent is by the traditional route through the Estany Negre and Comapedrosa refuge, until reaching Arinsal where the race started. Yngvild Kaspersen, Marta Molist, Ragna Debats, Aitziber Ibarbia, Sheila Aviles, Laura Sola de Miguel, Nuria Dominguez and Ekaterina Mityaeva. In the men’s field, Manuel Merillas 4th in the recent World Championships and 2nd in the 2015 Sky rankings may well have a battle on his hands with Rémi Bonnet if the young Swiss is back on form? Pere Aurell, 2015 race winner, will also defend his title. Marc Casal Mir, Pablo Villa Gonzales, Oscar Casal Mir, Stian Overgaard Hassan Ait Chaouand Alexis Sevennec head up the competition with a strong presence coming fromand Andrej Fejfar, Pere Aurell (2015 race winner), Aritz Egea, Pere Rullan, Alfredo Gil Garcia, Sintu Vives, Jessed Hernandez. Course records are 2:46:42 by Pere Aurell and 3:21:15 by Oihana Kortazar. The 2015, The North Face Transgrancanaria was always going to be an exciting race… you only had to look at the line-up of elite athletes who had travelled from around the world to participate. However, the script was thrown out of the window and series of surprises continued to unfold for the duration of the race, leaving us all to wonder, who would be crowned 2015 champions? 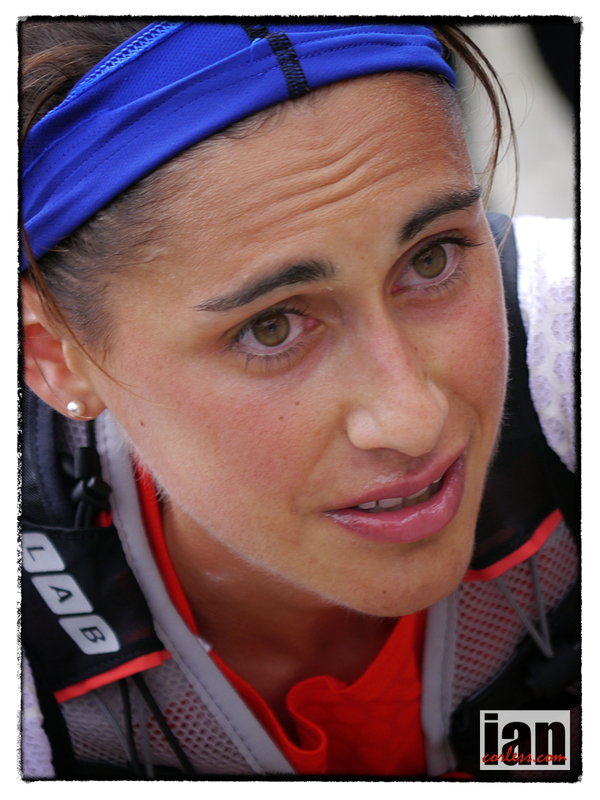 Nuria Picas (Buff) regained her 2014 title with a time of 16:53:27. Although Nuria didn’t lead the race from start to finish, once the Catalan took the reigns there was no holding her back. Lithuanian Gediminas Grinius (inov-8) won in the male race in a time of 14:23:37. However, was a race of many surprises and changing scenarios. The race started in mild weather but as time passed, an ever increasing wind started to blow making conditions extremely difficult during the night. The breaking of a new day added sun and heat to the equation and this combination of elements caused a continual problem for nearly all the runners. Notable withdrawals during tha race came from: Nikki Kimball, Yan Longfei, Iker Karrera, Pau Bartoló, Fernanda Maciel, Joe Grant and local hero, Yeray Durán. A full results article will be posted on Sunday 8th March. Jordi is someone who I respect immensely. 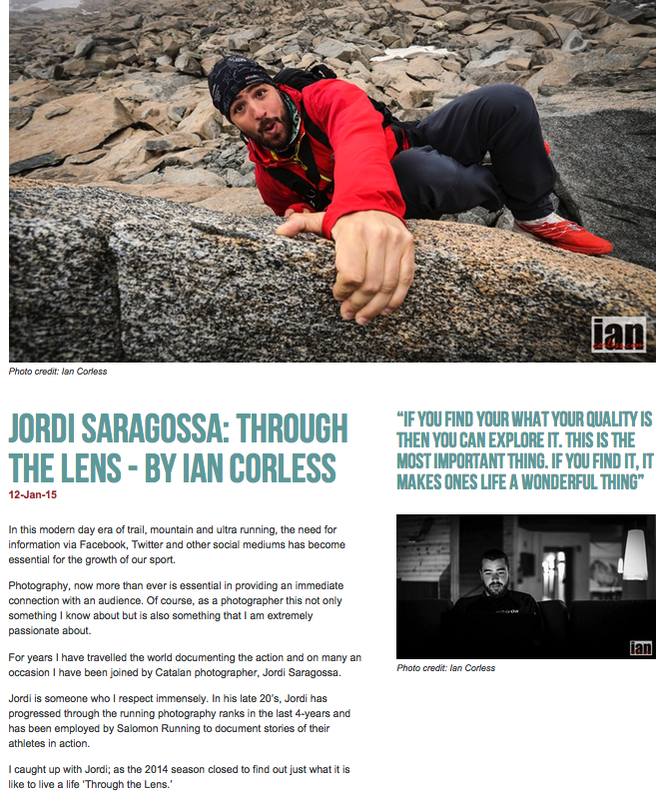 Now in his late 20’s, Jordi has progressed through the running photography ranks in the last 4-years and has been employed by Salomon Running to document stories of their athletes in action. 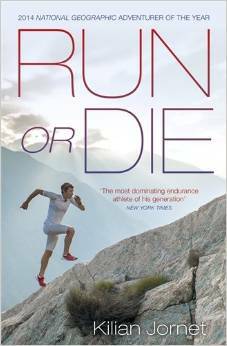 WE HAVE 2-COPIES of KILIAN JORNET‘s book RUN or DIE to giveaway. In association with Penguin Books, the UK publisher of RUN or DIE we have 2-copies of Kilian’s book to giveaway. We are delighted to announce the book has just been longlisted for the 2014 William Hill Sports Book of the Year Award. 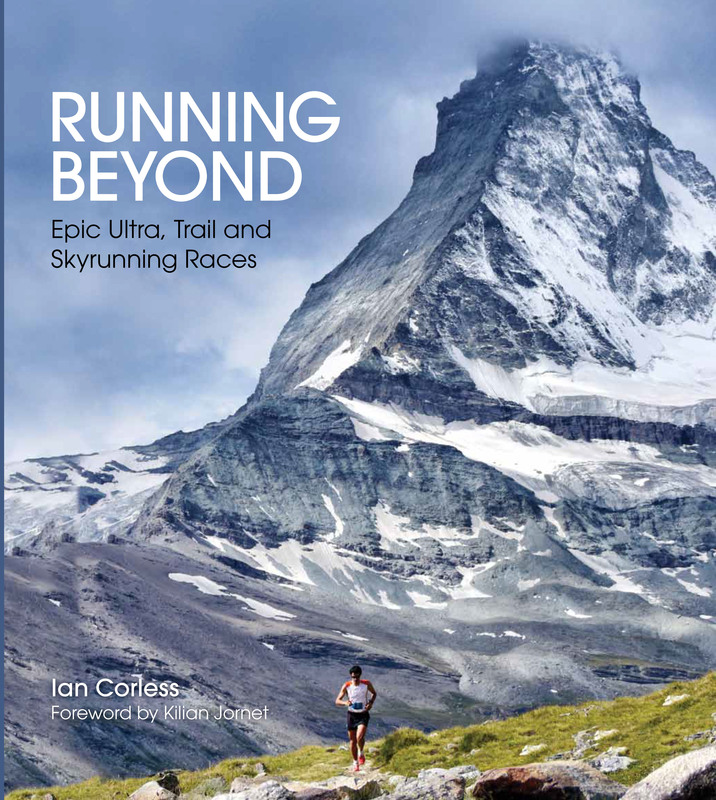 We believe it’s the first book about ultra and trail running to receive a nomination (it’s normally lots of books about football and cycling!). RUN or DIE is a captivating read and we hope it will inspire more mainstream books on the subject. The wider public deserves to know about the sport! Kilian Jornet is defining our sport and in the process is setting new records and providing inspiration to thousands, if not millions of people. 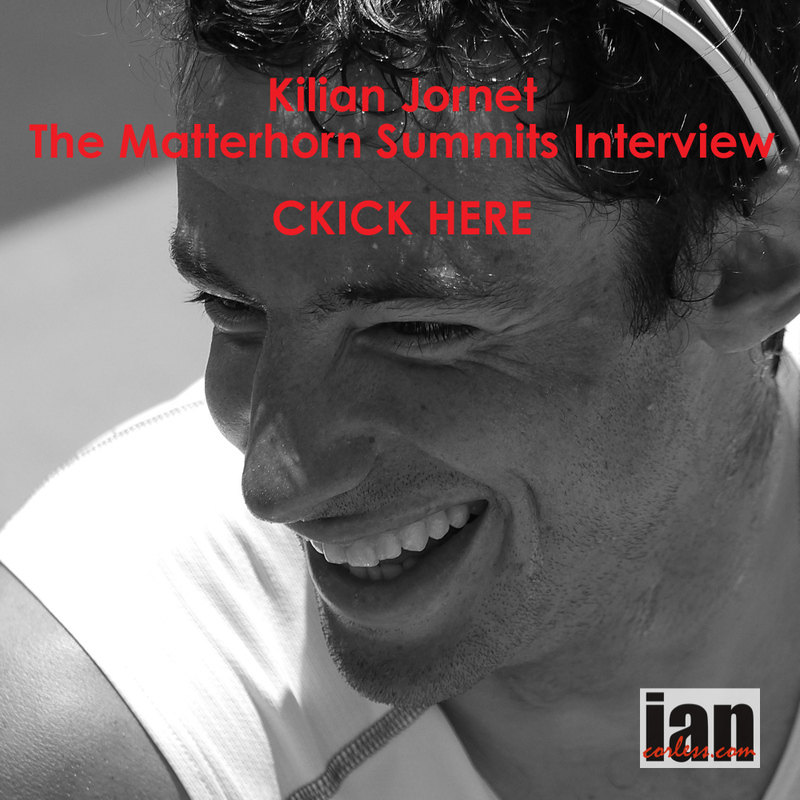 Just 12-months ago, I spoke to Kilian in Zermatt. It was just days after his incredible Matterhorn Summit where he set a new record for Cervinia-Matterhorn Summit-Cervinia beating the long standing Bruno Brunod record. Looking relaxed, Kilian joins me at a table and we chat. He looks lean and in the form of his life. The sky is blue and clouds are around the base of the Matterhorn. Looking up we pause and take it in. IC – Do you feel nostalgic Kilian, looking up at the Matterhorn and thinking back 12-months? KJ – Yes, I have great feelings. I-year ago I climbed from Italy (Cervinia) and today I climbed it from Switzerland (Zermatt). I have many great friends in Cervinia and very soon it will be 150-years of the Matterhorn. So many great memories; It’s such a beautiful memory. IC – Okay, so you have just thrown this on me. 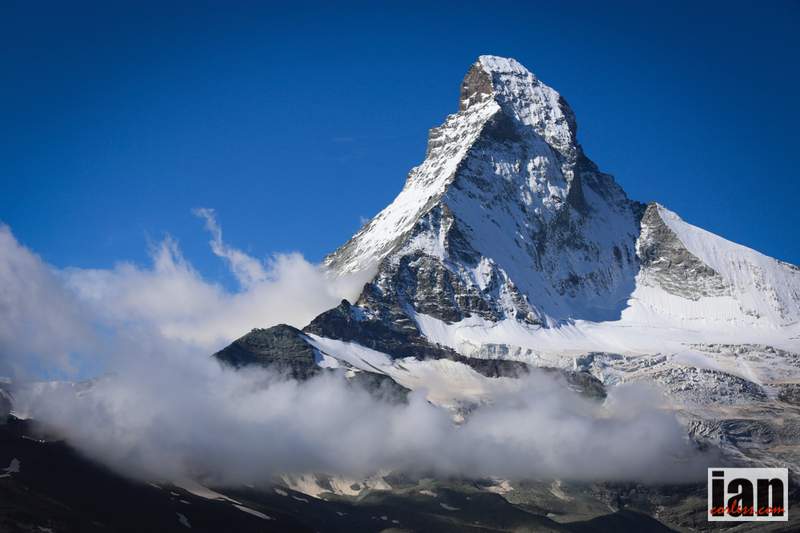 You climbed the Matterhorn this morning from Zermatt? 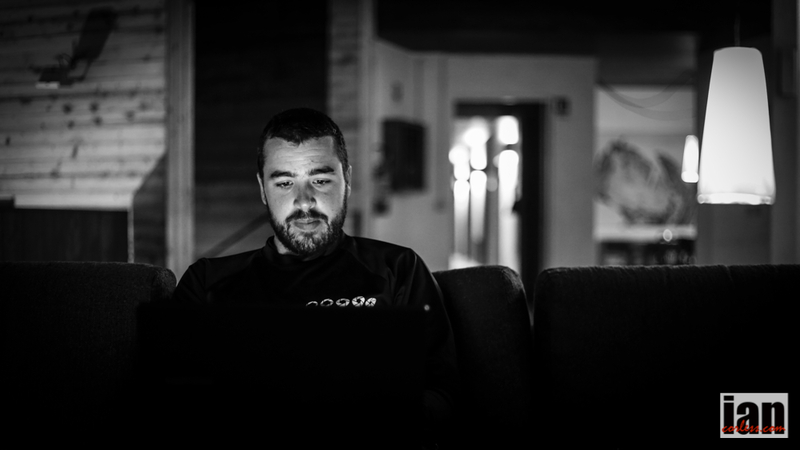 KJ – Yes (laughs) I am not racing Matterhorn Ultraks so it’s okay. I went this morning… I was thinking to myself, it’s great weather so I decided to go. Conditions are not good though. The mountain has much more snow and the ridge was pretty icy. I had no crampons, which was a big mistake. At the summit it was very windy. I thought I might take the quick way down to Zermatt…! IC – People say the Matterhorn is harder from Switzerland side? KJ – The Italians say it’s harder from Cervinia and the Swiss say it’s harder from Zermatt. (He laughs) Both routes are very similar. I prefer the Italian side, it’s a narrow ridge about 500m long and you can really run. From Switzerland you go straight to the summit. It’s really beautiful and maybe a little more complicated. For me though, the Italian side is more difficult. IC – Did you time yourself? KJ – Hotel to hotel was 7-hours. I had planned to go down to the Italian side and come back via the pass. But the conditions were very windy and I decided to come back on the Switzerland side. It had lots of snow all the way up. I can normally climb up in good conditions in 2.5hrs but today it was 4-hours. 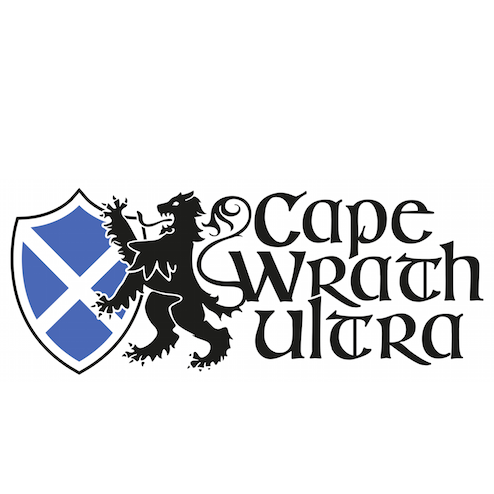 IC – Not the perfect time for a FKT? KJ – No, it was really dangerous. Normally I would see 100’s of people at the summit. Today it was just me and I saw 4-people on my way down. The weather would be okay for Mont-Blanc but not here; it’s much more complicated. IC – I think it’s topical we are speaking mid season. I believe the Kilian Jornet today is a different person to 1-year ago. For me, you seem to be in perfect shape. I don’t think I have seen you so fit and strong. Would you agree? KJ – This year I feel really well. I don’t know why? I started the season in Colorado in the winter doing plenty of high altitude meters. I was great in the ski season. It was my best season in regard to my condition. I was not tired after skiing so it was a big bonus. I have raced the same number of races but I seem to be recovering so much better. I am climbing more meters and doing fewer kilometres. 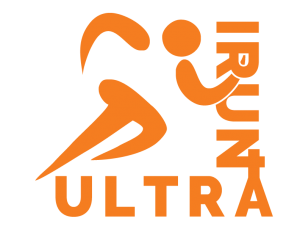 IC – It’s not unusual for you to start your run season at Transvulcania La Palma on 4-5 days running. This year you did this. You had a great race placing 2nd behind Luis. 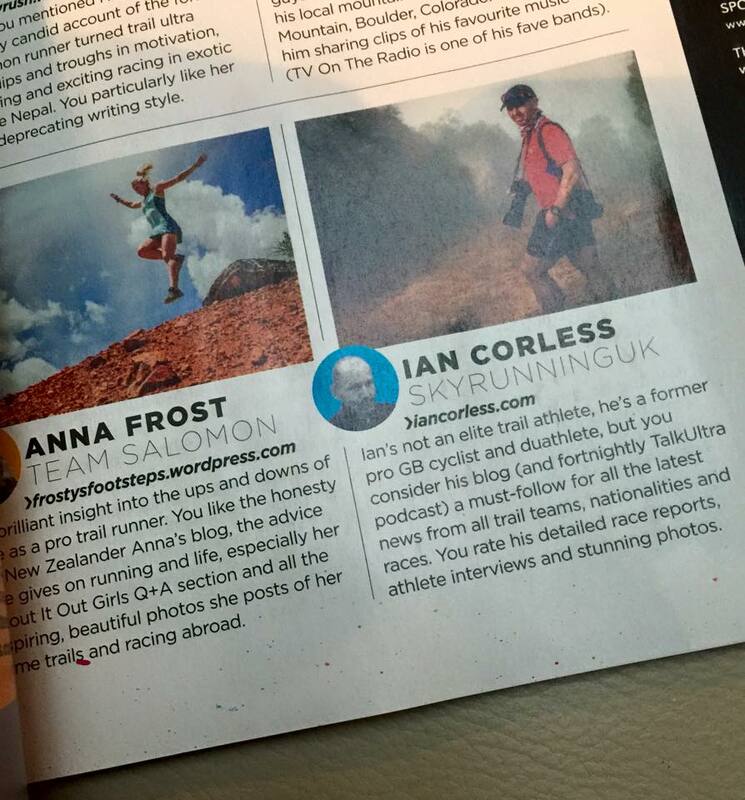 You then went to Denali and followed this with running again becoming Skyrunning World Champion. In Denali, this is not ultra running. It’s Alpinism. So tell us, what was the experience like? KJ – It was a hard experience and fun. The weather was bad in Alaska. We stayed 21-days in the glacier and we had 3 sunny days. Everyday was snowing but we did a great number of things. We travelled very light. We would go to 4000m camp and from here everyday we would do something… we did the west ridge and then ski, we did another ridge, then I did the record, the north summit and so on. It was really nice to see. It’s possible to do something everyday. It was really interesting. I think I was surprised to come back to Chamonix and perform so well. Really I was just going to use it as training for Hardrock. In the VK I surpassed my expectation, in the marathon I knew I could do well. I lost weight in Denali. IC – Yes for sure. You lost weight and your legs seemed smaller. Did it feel unusual to be back in Chamonix feeling like a different person? KJ – Yes, I had small legs. It is similar to after Alpinism. It’s good for going up but coming down it has its affects. IC – Denali unlike the Matterhorn was very much about you going and doing it. We haven’t seen the new Summits film yet, so, what did Denali involve? KJ – It’s Skimo. You go via the plane to Anchorage and then take anther small plane to the glacier. It’s snow all the way. We didn’t take run shoes. We just used skis everyday. We had planned to acclimatize but the weather cleared and I made an attempt on the 6th day. I may have not been adapted but I was still strong. If you stay at altitude you loose strength. I had good conditions for 3-hours but the last uphill section and all the downhill had bad conditions. It was snowing and foggy. I just hoped that I could complete the summit. I added more clothes and pushed on. IC – How do you prepare for an event like this? Do you do extensive research beforehand on maps? You make it sound casual and matter of fact but I know it’s not. KJ – You need to be really well prepared. It’s a dangerous mountain. I looked at maps and we planned ahead, not only for the record but other adventures. I made good preparation 2-weeks before. We did 3-days to base camp and did the west ridge and ski down. It was good to see the conditions, find out what the snow was like and see if I could ski fast from the summit. You need to open your mind. It was great to have a small team. We were 4-people: Seb Montaz, Jordi Tosas, Vivian Bruchez and me. It’s really quick to change plans and make decisions with a small set up. For example in 5-hours I decided to attempt the record. Everyone was ready; they all knew what they had to do. It was great. Also, the team had projects that each wanted to do. All 4 of us had aspirations to achieve things whilst in Alaska. IC – That is what is so interesting about what you do. You have very experienced people with you. In particular, Seb, he’s a great mountaineer and cameraman. We often forget he is often doing what you are doing. KJ – For sure. You either have a small team or a big team with multiple people, helicopters, and many cameramen. The problem is budget! For example, all our team can work independently and they can all film, even myself. I like this process. We all move in the mountain, they are happy alone and that is great. We all captured images of each other. IC – That is going to be great to see. You followed Denali with Hardrock 100. KJ – Three years of waiting! IC – Yes, you got the confirmation in 2013. We all had expectations and excitement. You were racing really strong competition, Adam Campbell, Joe Grant, Seb Chaigneau, Dakota Jones, Julien Chorier and so on. You had a remarkable day; you smashed the course record. I know from pervious chats that you wasted lots of time. What was the experience like, did it live up to expectations? KJ – It’s a beautiful race. I have run several 100-mile races and this is the best. The ambiance, the course, the spirit, it was just amazing. I arrived 1-week before and I checked all the last 100km so that I was prepared. I knew I would be in this section at night. I didn’t know the early section; I didn’t check it at all. We all started together; Seb, Adam, Timmy, Dakota and Julien. We had a big group. I felt good from the beginning. Having said that, you always feel good early. It’s just moving. After 4-5 hours I wasn’t pushing but I was pulling away. I thought to myself, maybe I will have a good day but I wanted to be cautious for the latter stages of the race. So, I waited for Julien and then I ran to km 100 with him and then the night started. After this point, I knew the course so I decided to go. It could take 9-hours if I was feeling good. I hadn’t eaten much up to this point so from here I took energy from soup and burritos. It was also really bad weather with rain and storms. I was happy to take a little time in the aid stations. IC – I think you were lucky and got ahead of the worst of the storms. For example Adam Campbell had a crazy time. KJ – Yes, this is what can happen, Handies Peak is at 4800m and 30km between aid stations, so, you are on your own. If a storm comes they don’t stop the race. You need to know what to do. If you are afraid, you stop and find shelter until the storm passes. Runners need to think and that is a good thing. We all need to think what to carry and what to do. IC – You had Frosty (Anna Frost) and Ricky Gates as pacers. What point did they pace you? KJ – Ricky started at 100km for the first part of the night section from Sharman. He ran around 35-40km with me. In the second part it was crazy rain. We were so cold and wet. He stopped. I continued for 10-miles alone and then met Frosty for the last 10-miles. IC – At any point did you have the course record in mind? KJ – I said okay, I am doing well but don’t try to get tired! I was 20-min ahead of the record and I knew that Kyle Skaggs exploded in the latter stages when he set the record. So, if I kept my pace I knew the record was possible. IC – As winner, you are the only male with a guaranteed place for next year. Will you be back? KJ – Yes, for sure as it alternates direction each year. IC – The two races are different, lets forget next year. Given what you have learnt this year, if you went back in 2-years, with what you now know. Of course weather dependant. Do you think you could make big differences to the time? KJ – Weather is crucial and of course the feelings. Some days you feel great, like a cloud. You can’t predict these days. I had one of these days at the Matterhorn and certainly Hardrock. For sure I could go faster. I stopped 56-minutes in aid stations. IC – And you waited for Julien 20-mins? KJ – Yes, I think 1-hour quicker is possible should all things align. 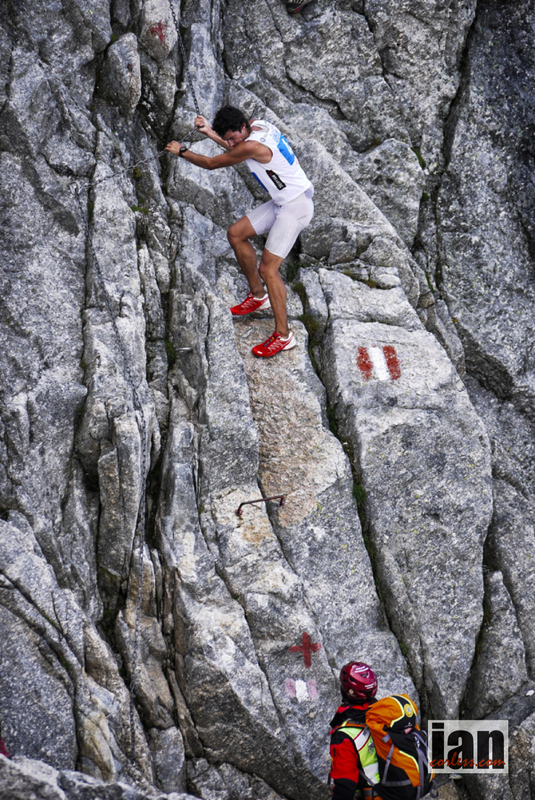 IC – You came back from Hardrock and surprisingly raced at Dolomites Skyrace in the VK and SkyRace just days later. KJ – I was happy about the VK. I was feeling recovered but after 100-miles you need recovery. The VK was super good. I placed 8th which was great. It surprised me that I could push. It motivated me for the Sky race just 2-days later. IC – Another great victory for you, amazing really! IC – Trofeo Kima is just around the corner. It’s arguably one of ‘the’ key Skyraces. Do you have any plans or intentions for Kima? KJ – It’s difficult to discuss plans. So many variables come into play. For example, I may do some mountaineering this week, which may mean I am tired. I have The Rut and Limone Extreme too this year. After a summer of rain when the sun comes out the snow tempts me, so, I can’t resist despite what races are on my calendar. IC – I have to say, I was watching your posts about your runs this last week. Dakota and yourself doing big days in the mountains that have lasted 7-hours. With UTMB around the corner, didn’t Dakota make that mistake before? KJ – I have often done Mont-Blanc just days before UTMB. It has altitude, great training and it doesn’t take too much energy. Dakota is strong and talented. We did this with 10-days before UTMB. He will be fine. I sometimes think he thinks too much. He needs to just run… it will be interesting to see Tony, Iker, Tofol and all the rest. I think Iker will be good. Luis Alberto he will start strong but can he maintain it? Luis has one pace, hard! Maybe he will start slower. 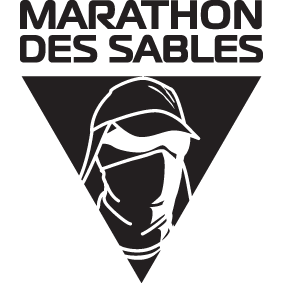 UTMB this year will be a great race. IC – You have Aconcagua (Summits of my Life) left for this year, December yes? KJ – Yes, I will start in November to do ski training and then I will go back to running for Aconcagua. I’m excited as it has a high summit of 7000m. It’s not technical but it’s a tough record. IC – And the record? KJ – I will go from the entrance and I will try to achieve both records. Also, Emelie Forsberg will try a female record too. IC – Wow, nice! I guess Aconcagua will be more like the Matterhorn? KJ – No, it’s easier. It’s rocky but not steep. The altitude is the big issue. You can get sick and have problems so the challenge is different. IC – It doesn’t have the danger of the Matterhorn. Ultimately, you have Everest as the last big objective. Have you thought about this yet? KJ – It’s completely different, it’s very high, 9000m. It’s very long and this is the biggest problem. It’s to go all this way without oxygen and fast. The route is technical. I will start on the north face to prepare. It’s quiet so I will have no problems with people. I will need to prepare. I will go in spring, autumn and maybe the following spring. As per usual with all mountains, any attempt will be weather dependant. I expect to have several attempts. IC – If you achieve Everest and complete the Summit series, where do you go next? Your list is ticked off, do you think you will comeback to some races you have done before or do you think you will create a new sport, a combination of all your skill levels? KJ – I have lots of projects. Today I climbed the Matterhorn, I looked around and suddenly projects appear. I think maybe I can go from here to here or in skiing I go down a steep line. It doesn’t need to be the highest or the longest. Nice mountains with not many people. I like this sport because of the beauty. I like aesthetic projects more than numbers. I have so many options to choose from. IC – Do you think racing will still appeal? KJ – Yes, I love racing. I love the ambiance. I also like it as training. I push I give it everything and you can’t do this alone, it’s boring. I will race for sure in skiing and maybe run less. IC – Today I spoke to Marco De Gasperi, I took him back to ‘91’ when he was 16 and the formative days of Skyrunning. His first race! KJ – Yes, it was Monte Rosa. IC – Yes, Monte Rosa and he also did the VK. He reminded me of 2007 when you were 20 and you turned up at a race and placed 6th. He said you looked at him as though he was a hero. He now looks at you as the hero. KJ – No, Marco is the hero. IC – 20+ years of Skyrunning. In the last 3-years Skyrunning has become bigger than ever and it continues to grow. Would you like to see the sport progress in anyway? KJ – Every person is a carabiner. We all pass on and provide energy and it grows. The sport keeps the values of the beginning. However, it’s not just about distance, elevation and athletics. It’s about mountains and alpinism. More people are interested in being in the mountains, it’s not just about technical terrain, and we must look at what is around us too. The sport will grow for sure. We are seeing VK’s grow and longer races. I think in central Europe it will stay as it is but it will develop in other countries, for example the US. It’s important to grow and keep quality; we must keep the spirit. IC – In ‘89’ when Marino Giacometti ran up Monte Rosa and came back down, it was pure mountain spirit. Up and down as fast as possible. I feel that Skyrunning is starting to go back to where it was 20-years ago. Maybe because we look at sport differently; but also you are providing a great influence. Do you think there is room for another sport outside of VK, Sky and Ultra within Skyrunning, maybe an extreme event? KJ – Yes. I think an extreme sport would be a great idea. It has been done before as you say. It’s really important though to understand that this is mountaineering fast and not running. IC – Alpinism without the clutter? KJ – Yes, it’s not about being strong or fast it’s about how you climb! You need confidence and you need self-awareness. It’s another level. It will come as the sport grows but it is not for all. It’s not about kilometres it’s about mountain experience. IC – Kilian, once again thank you so much for your time and the inspiration. KJ – Thank you for everything. I would like to thank Kilian Jornet for his time and generosity. And all the wonderful races throughout the world that provides us all the opportunity to live our dreams. It’s here… the long awaited Skyrunner® World Series kicks off with what has become, in just 2-years, the iconic Skyrunning Ultra Race, Transvulcania La Palma. The race has come a long way… now considered to be one of ‘the’ races to do, the 2014 edition of the race will only cement this reputation as runners travel from all over the world to take part. It goes without saying that a quality line-up is guaranteed for this race, however, 2014 has my appetite whet for what I consider to be arguably the most exciting and competitive race we will have ever seen on the island of La Palma. What a line up! A simple glance at the ladies race confirms one thing, showdown! 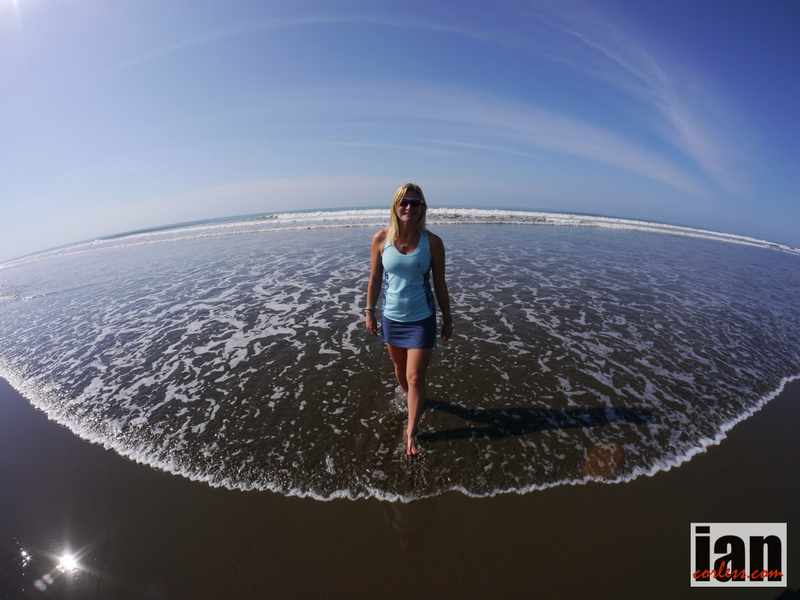 2012 Transvulcania winner, Anna Frost returns to the island she loves after missing the 2013 edition through injury. 2013 winner, Emelie Forsberg will toe the line and the trio would not be complete without the ever present and incredibly talented, Nuria Picas*. Add Silvia Serafini, Cassie Scallon, Uxue Fraile and Jodee Adams-Moore amongst others and we have a female melting pot that is going to boil over and may well explode on the trails of the GR131. But hold on a minute, have you seen the men’s field…? Dakota Jones, like Anna Frost, returns to the island after a year a way and will be looking to take back that ‘President’ title bestowed on him in 2012. Kilian Jornet, 2013 winner will provide the stimulus to push Dakota to a new level but lets not rule out the incredible talent and line-up that will be chomping at the bit to dislodge the 2-previous winners. Luis Alberto Hernando will have prepared all winter to be in the best possible form come May 10th, Timothy Olson, Sage Canaday, UTMB winner, Xavier Thevenard, Ricky Lightfoot, Philipp Reiter… oh boy, how long have I got? 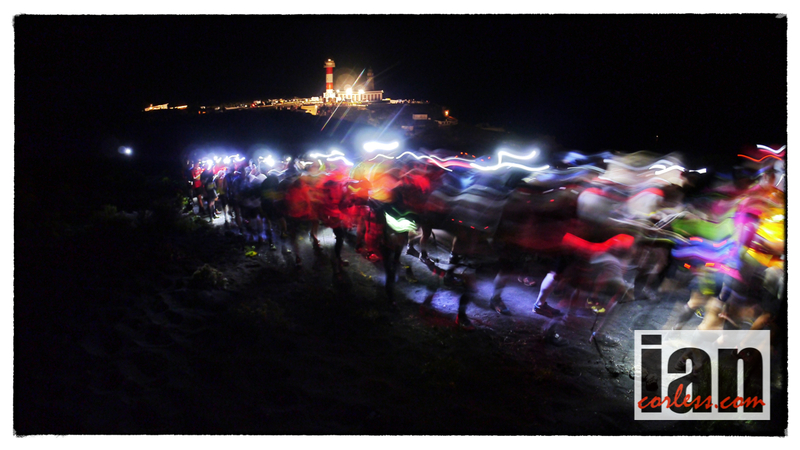 Take out your diary, block out the weekend of May 9th, 10th and 11th and prepare yourself for what will go down as an epic running of the Transvulcania La Palma. 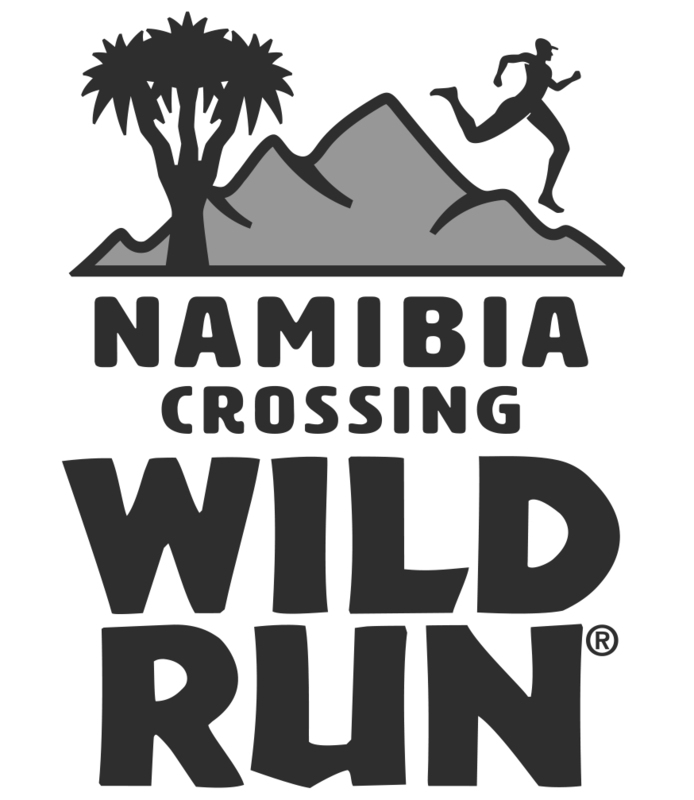 Please note: the 2014 edition of the race is now listed as 73km and not 83.3km as on the website. In real terms, runners have said for the last couple of years that they thought that the course was short, so, this may just well be an acknowledgement. Importantly though, the route from Tazacorte Port to the finish in Los Llanos has now changed. Runners will now run along the ravine and not along the road as in previous editions. It’s difficult to say at this stage what impact this will have on the race. My initial reaction would be that a fast road ultra runner could use the previous final section to his advantage (Sage Canaday?) to pull back some time, maybe this advantage will no longer exist! The ladies race has real quality at the front but barring a disaster, I don’t think we will see any real surprises. A select group of 4-6 are outright favourites for the win and my outside tip goes to Maite Maiora Elizondo for surprise performance. Emelie Forsberg was unstoppable in 2013. Notable for the diversity of her racing; Emelie started the season with a win at Transvulcania and whilst also racing and winning at VK and SKY distances, Emelie crowned out her year with 2nd pace behind Nathalie Mauclair at the super tough, Raid de la Reunion, Emelie’s first ever 100-mile race. Since then, Emelie like Kilian pretty much hangs up her run shoes and spends her time on ski’s. Other than the occasional 20-30min jog and a week of running at the Salomon athlete retreat in Limone, Emelie will arrive on the start line of Transvulcania thinking to herself, ‘I wonder how this will go?’ Emelie had the same thoughts last year and secured an incredible victory over Nuria Picas. Dare I say that she almost made it look easy? I have no reason to think that 2014 will be any different and therefore Emelie is my no1 tip for the crown and a potential new course record. Nuria Picas* fresh from another victory (just this last weekend) will join the ladies on the island and will without doubt bring her incredible talent, dedication and entourage to ensure that the best possible performance can be guaranteed. However, and this is a big however, her recent win at Transgrancanaria and more importantly, her win at the 105-mile UTMF in Japan on April 26th must leave the Catalan feeling a little tired and jaded. Anyone else and I would say that the occasion, fatigue and tiredness would take a heavy presence and a potential lackluster or under par performance can be expected. But I just can’t rule Nuria out… Anna and Emelie know only too well what a talent Nuria is and equally, Nuria will understand the challenge ahead. I can’t wait! Nuria has decided to rest and recover after UTMF and will not race at Transvulcania. She will prepare for Australia. Anna Frost arrived on the island of La Palma weeks before the 2013 edition of the race and the reality struck that she was going to have to miss the race due to ongoing injury. It was a tough decision and what followed was a year fighting with injury that forced Frosty to look within and find out what was really important. 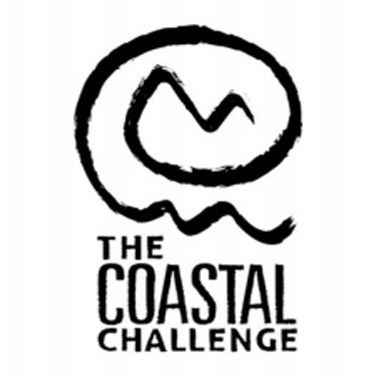 Even in February 2014 whilst attending The Coastal Challenge in Costa Rica, Anna was forced to reassess her objectives and take more rest. However, a recent win at the marathon distance at the Buffalo Stampede in Australia may well mean that our beloved Frosty is on her way back! Already on the island of La Palma, Frosty will be preparing mind and body for the challenge ahead. Can she win? A b s o l u t e l y! You can never rule out an inform Frosty, particularly on this course. However, it’s early days on the comeback trail and I am going to sit on the fence not wishing to add any additional pressure. Finishing healthy and uninjured will be a major victory. Jodee Adams-Moore, had a great 2013 and has showed form in 2014 at the 50k and 50-mile distances with 6 top-4 places. 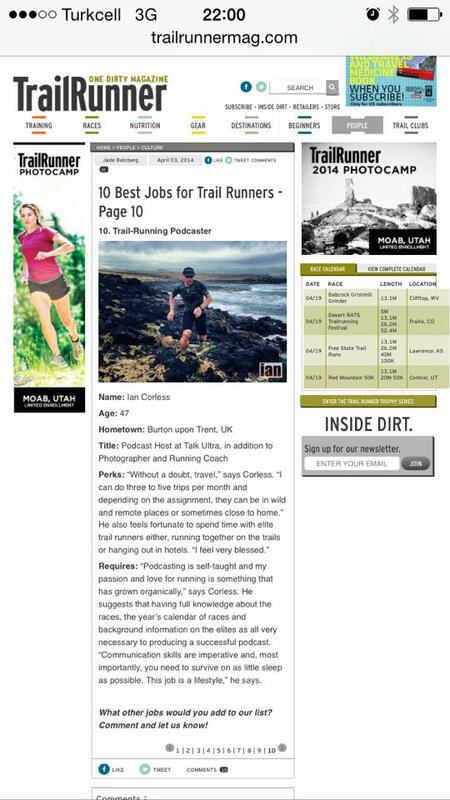 Jodee won Orca Island 50k in 2013 and 2014 and the Chuckanut 50k. Just recently, Jodee placed 2nd behind Ellie Greenwood at Chuckanut 50k and placed 4th at Lake Sonoma. The trails of La Palma will offer a new challenge and although we can expect to see Jodee pushing towards the front end of the race, I don’t see her making the podium. Silvia Serafini is an incredible talent and has always been there or thereabouts at many of the big races. A highlight of 2013 would have been placing 2nd behind Emelie Forsberg at Matterhorn Ultraks. Silvia is not without race victories; in actual fact, her consistency has been incredible. Like so many other runners, Silvia just needs a little luck on one of the big occasions and this will elevate her and her confidence to a new level. Silvia has injury issues and tells me that she may actually not race at all in 2014. A real shame… get well soon Silvia! 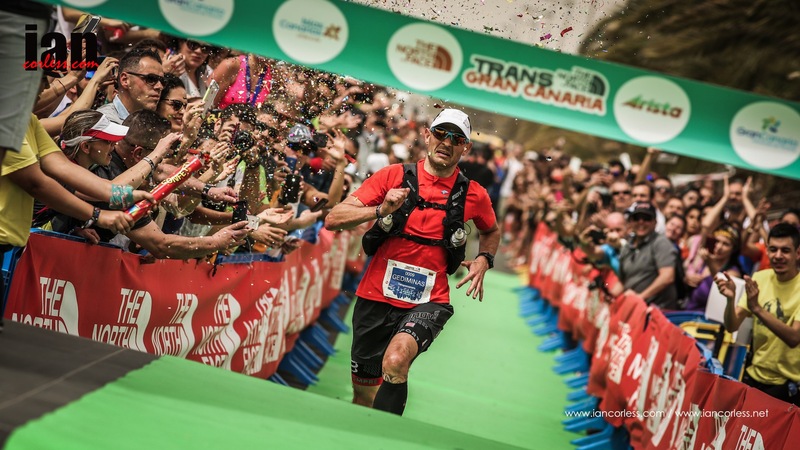 Uxue Fraile placed 5th at Transvulcania 2012 and 3rd in 2013. Add to this, top performances at Cavalls del Vent, Trans D’Havet and a recent 6th place at Transgrancanaria and you can’t rule out that Uxue will be looking for an opportunity and an opening to dislodge one of the hot favourites should they falter. On paper, Uxue does not have the outright speed to contest the podium (she was 60-min behind Emelie in 2013), however, she does have the patience and endurance for the survival game. Maite Maiora Elizondo – my rank outsider for a surprise and potential shock in the overall classification and standings. Maite is a pure mountain runner with a reputation for performing at a high level over the SKY distance. 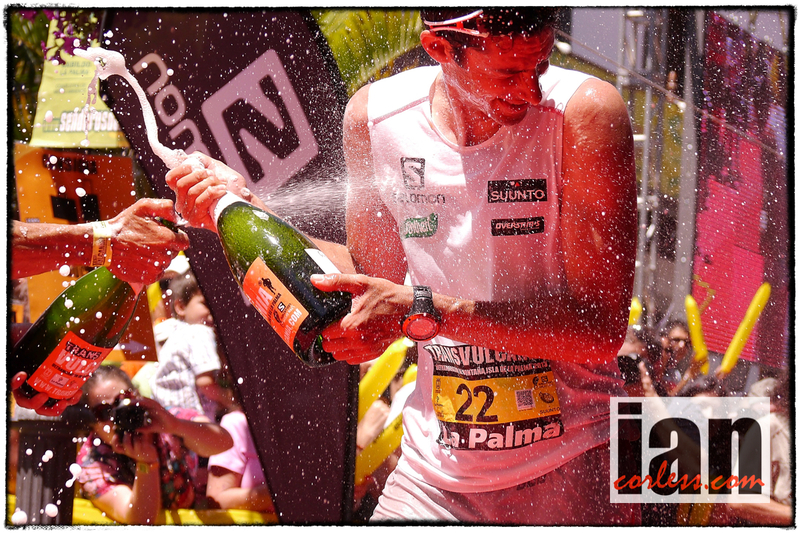 Transvulcania at 73km will be a stretch, however, class is permanent and I predict a surprise. Krissy Moehl – Not sure she is racing? So, if you thought the ladies race was a tough one to call. Look at the quality of the men’s field. It’s a who’s who of mountain runners. Kilian Jornet like Emelie Forsberg will step off his skis and make the transition to running with the flick of a switch. 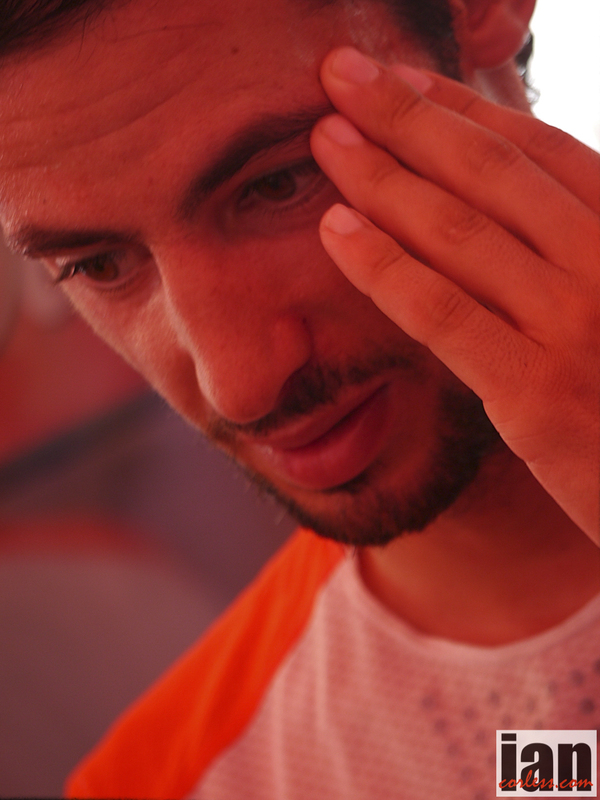 In 2012, Kilian lost out to Dakota Jones and Andy Symonds at Transvulcania, it was a combination of elements that influenced his performance, not enough running, dehydration and a particularly hot day! 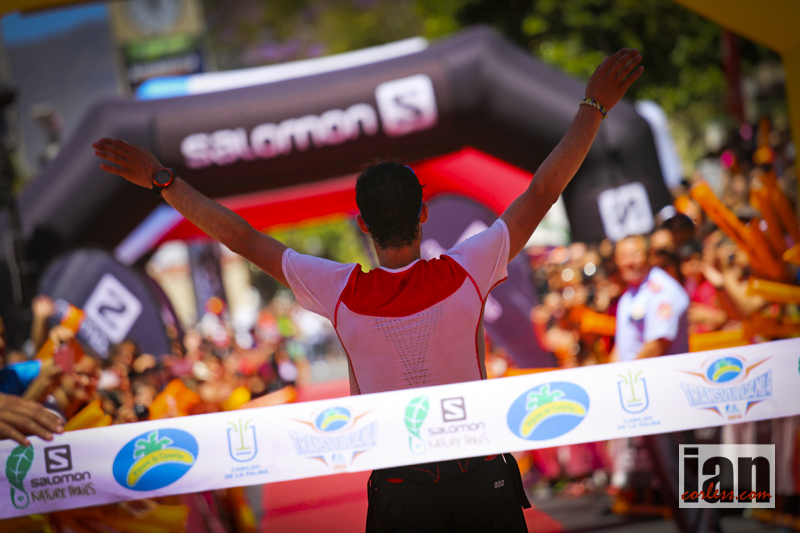 In 2013, Kilian corrected these mistakes and secured victory ahead of Luis Alberto Hernando. Post the 2013 race, I asked him what he had done different? ‘I ran for 7-days before the race instead of just 3!’. Need I say more… no matter how stacked the field you can’t rule out victory for the Catalan, however, he won’t have an easy day! Many of the competition see ‘this’ race as the perfect opportunity to beat the master as he makes the transition from snow to trail. 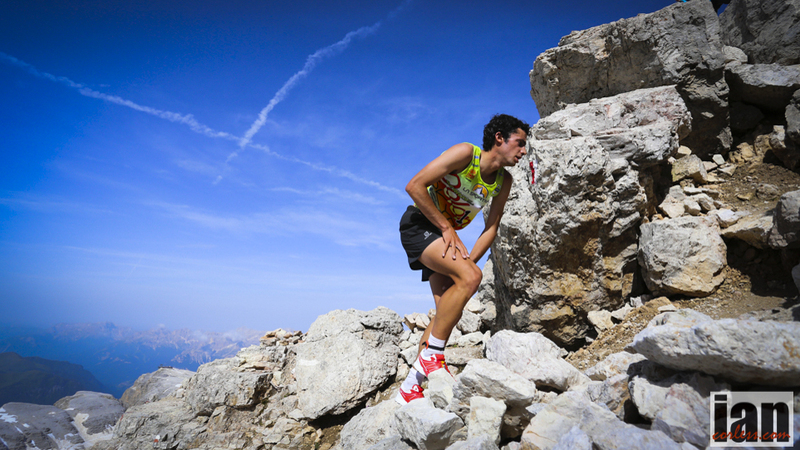 Luis Alberto Hernando is without doubt looking for that opportunity to take the crown away from Kilian. Luis, for me, is one of the greatest mountain runners in the world. Modest, professional and pure class; he is without doubt one of the few runners who can take Kilian to an edge and hold him there. 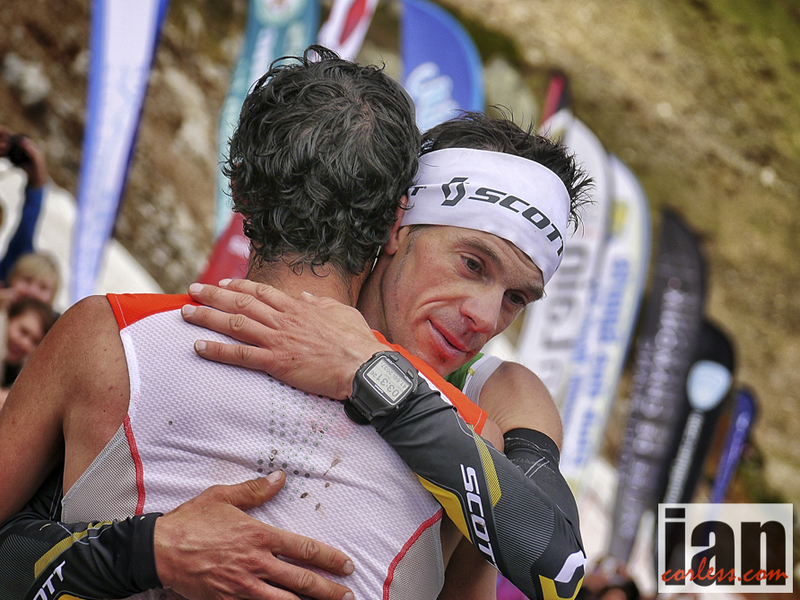 Luis, along with Marco De Gasperi pushed Kilian to better performances in 2013. It was down to the line at Zegama-Aizkorri and a hand-in-hand finish at Trans D’Havet after personal circumstances dictated a truce between the two warriors. At Everest Trail Race in November, Luis picked up an injury that forced him to only walk, he told me then, I have time, I only have one thing I need to be ready for… Transvulcania! Excited is an understatement. Sage Canaday I think was still learning last year. Sage had plenty of natural speed and wanted to run every ultra in the same way he would run a marathon… go out hard, hold on and finish in glory. On many occasions this worked; Bandera 100km, Lake Sonoma, Cayuga Trails and Speedgoat 50k, however, it was a tightrope existence. At Tarawera he just about held off a charging Timmy Olson and at Transvulcania, Sage slowed along with Cameron Clayton and opened the door for Kilian and Luis Alberto. One year on with a repeat victory at a shortened Tarawera and 3rd place behind a dominant Zach Miller at Lake Sonoma, I think we will Sage run a more cautious first half of TV and look to be more in the mix in the latter stages. He can win for sure! 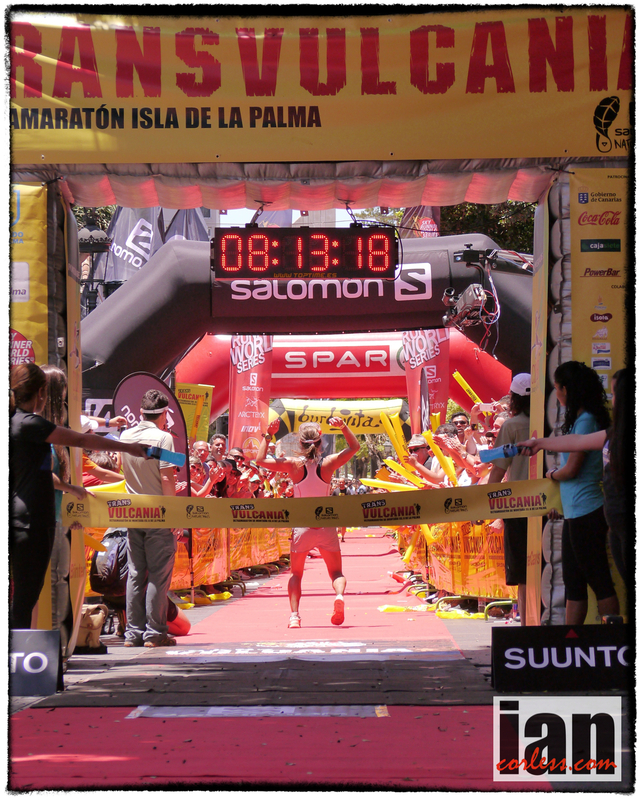 Timothy Olson 8th at Ray Miller 50 and 3rd at the recent Transgrancanaria knows all about peaking for a race. A repeat back-to-back victory at Western States in 2013 confirms this. The question for me is Timothy looking for a Transvulcania victory or is he looking for another solid and consistent performance on the road to Hardrock 100? Don’t get me wrong, I am not questioning Timothy’s ability, performance or dedication, on the contrary, I am actually saying that his focus can very often be at the sacrifice of other races. Of course, if a podium place or win is up for grabs, Timothy will dig deep and seize the opportunity. I expect top-5 and wouldn’t be surprised with an out and out win. What do you think? 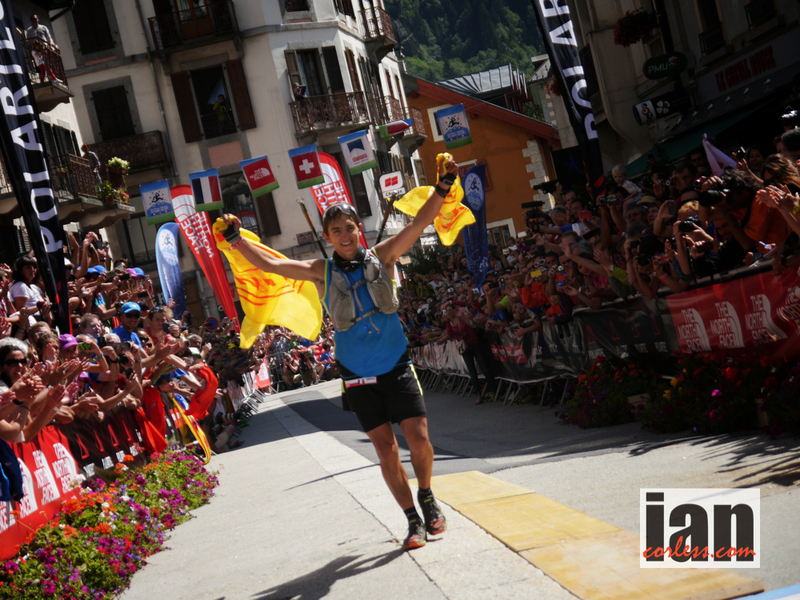 Xavier Thevenard was the surprise winner of the 2013 TNFUTMB, a result, considered by many to be one of the performances of the year! It would be fair to say, that Xavier, to many, was an unknown runner. However, this would be a great injustice. In 2013 alone, Xavier placed 11th at Transvulcania, 3rd at 80km du Mont-Blanc and closed out the year with 2nd at Templiers. His 2013 performance at Transvulcania was 1-hour behind the lead men; one year on one can’t help but think that with renewed confidence the gap will be much less. 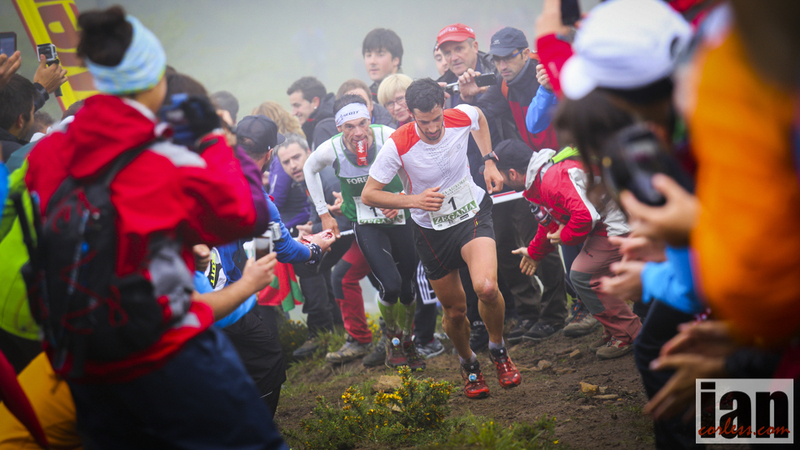 Tofol Castaner is a great mountain runner and on his day can push with the best in the world. His record at Cavalls del Vent proves this, 2nd in 2013 and 2011. However, he shot to worldwide ultra fame with his dominant CCC performance at the 2012 edition of the race covering the distance in 8:57:04. He will be in the mix. 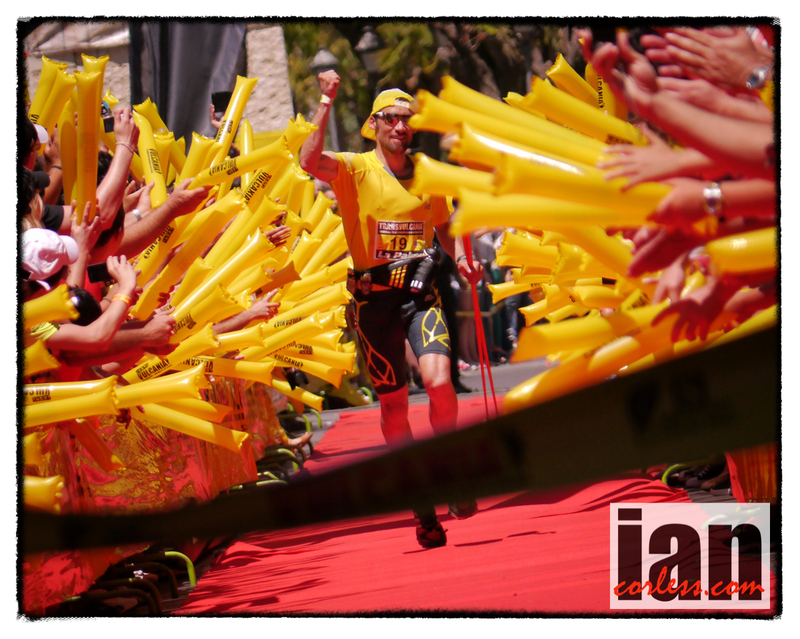 Philipp Reiter placed 11th in 2012 and 12th at the 2013 edition of Transvulcania. Always on the verge of a big result, his 2012 season was beginning to look like the big time was just around the corner… victories at the Maxi Race in Annecy, Zugspitze Supertrail and Salomon 4 Trails. 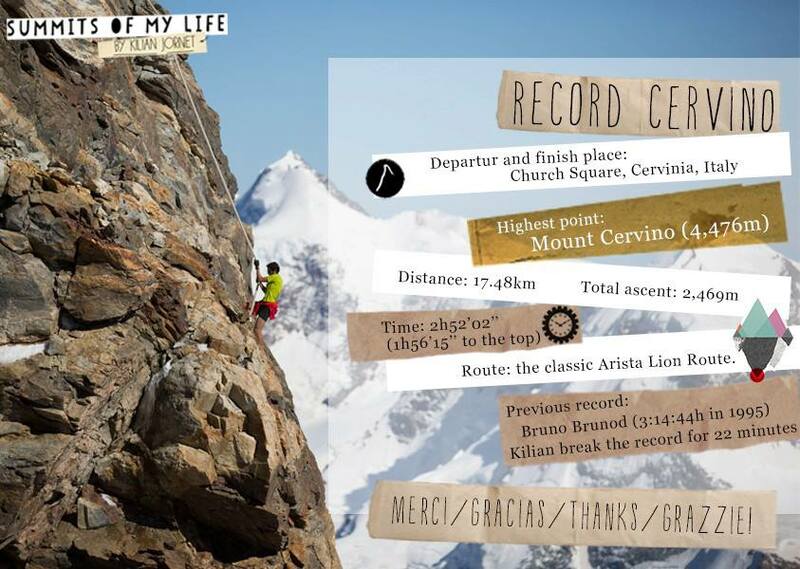 Add to this Gore-Tex Transalpine and 5th at a stacked Cavalls del Vent and 2013 was a season to be grasped. However, the season lacked any big victories that many of us had expected, arguably his best performance came at Ice Trail Tarentaise placing 3rd behind Kilian Jornet and Francois D’Haene. 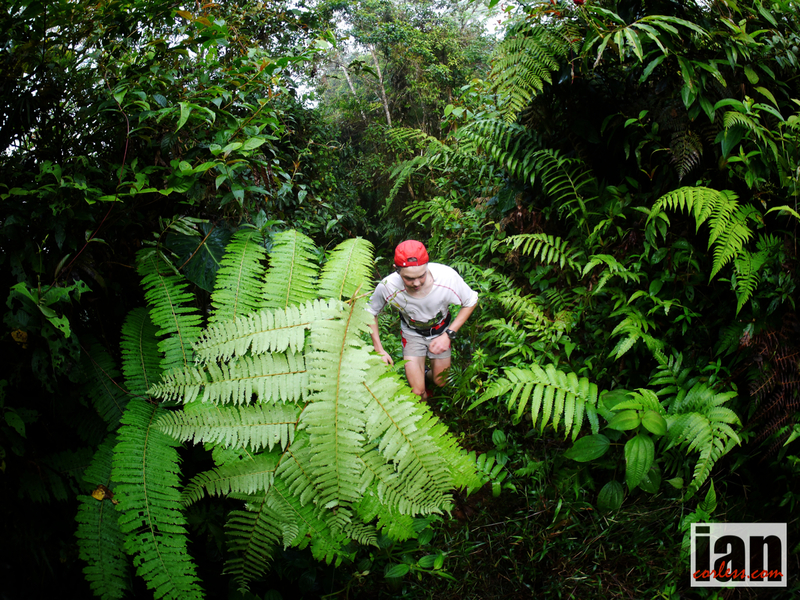 2014 started well with some great running at The Coastal Challenge in Costa Rica. 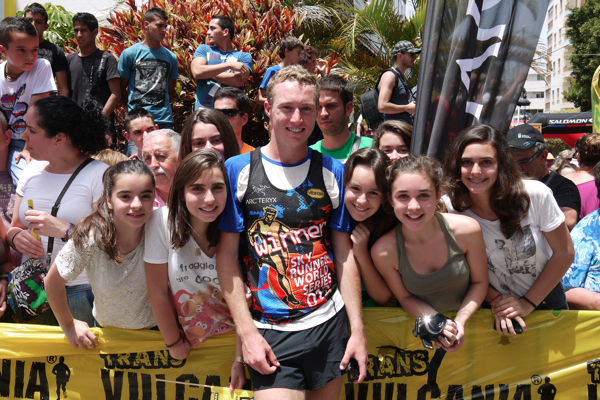 At Transgrancanaria (82kmr race) Philipp placed 8th, a disappointing performance for him. A constant issue whilst racing has been his stomach and getting this to cooperate with the intensity of racing. If Philipp gets this inline, we will see him regularly back in the top-10, more likely the top-5 and every now and again, the top-3. Ricky Lightfoot for me has the no1 slot to cause a massive upset on May 10th and come away with a surprise top-3 and even victory. I personally think Ricky has all the right combination of abilities to take the rest of the field on and just as Andy Symonds did in 2012, rock them all to the core. His course record at The Otter in South Africa was a sublime run and when you add to that an IAU World Trail title, you have all the necessary elements of speed, technical ability and endurance that will make a difference on La Palma. Just this last weekend, Ricky took the crown at the iconic Three Peaks fell race in the UK. The only negative has been a recent knee injury that may very well take the edge of what may have been possible at Transvulcania. Tom Owens was missed in the 2013 season. After an inspirational year in 2012 were Tom really did chomp at the heels of Kilian Jornet, 2013 was always going to be, what can Tom do next? It soon transpired to be very little… Tom was plagued with injury and lost a year. Playing the patience game, Tom is back. He has had a couple of good trail marathon wins recently and placed 2nd behind Ricky Lightfoot at Three Peaks. Transvulcania will be a long race for Tom and that for sure will count against him, however, I have seen him race and seen the skill set this guy holds. If he has a good day, don’t be surprised to see him create a shock! 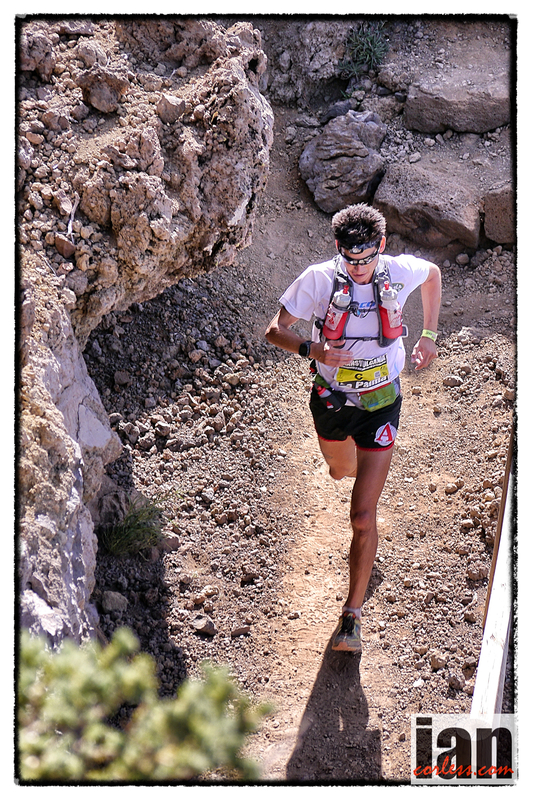 Giuliano Cavallo placed 9th at Transvulcania in 2012 against a top quality field. 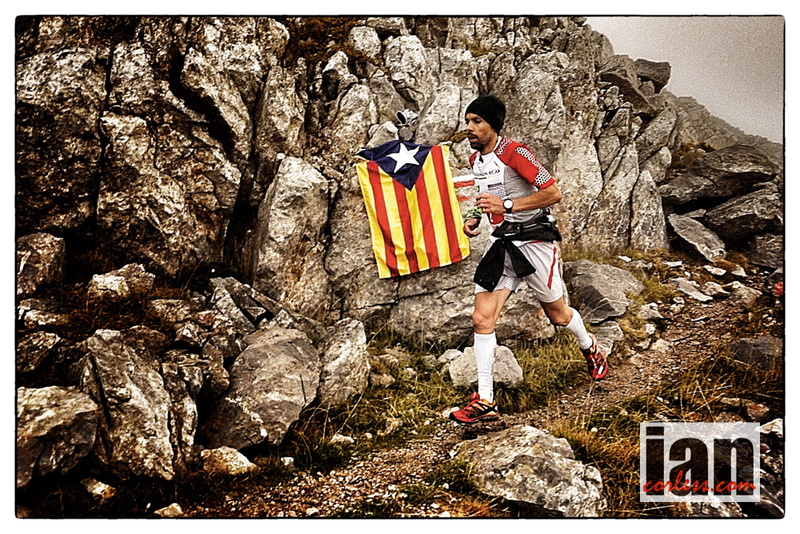 He had injury issues in 2013 but still managed victories at Alpago Ultratrail and Gran Trail Courmayer. Top-10 once again is a distinct possibility. Jason Schlarb had a break through run at Run Rabbit Run 100-miler taking out the win in 2013. Add to this, top-3 places at Speedgoat 50k, San Juan Solstice and Leona Divide one can conclude that Jason has the required speed and endurance to compete with the best. Ultimately though, Jason’s Transvulcania performance will all come down to how he manages the lava trails, the technical caldera and the 18km descent to Tazacorte. If all those elements fall into place, Jason will be up amongst the top-10. Vajin Armstrong is an ever present podium hogger in the Southern Hemisphere. Always top-3, the big win has somehow eluded him. For the past 4-years Vajin has raced Tarawera for example and placed, 2nd, 2nd, 3rd and 3rd. He has plenty of speed and on his day will be in the mix at any race. In 2013, Vajin spent a great deal of time in Europe placing 2nd at Zugspitz and the Swiss Alpine Marathon all good preparation for what a Skyrunning race will throw at him. However, at TNFUTMB his race didn’t go too well. Transvulcania and the quality of the field will provide Vajin with a real test and if he’s having a good day he may well be in the mix but I don’t see him on the podium. 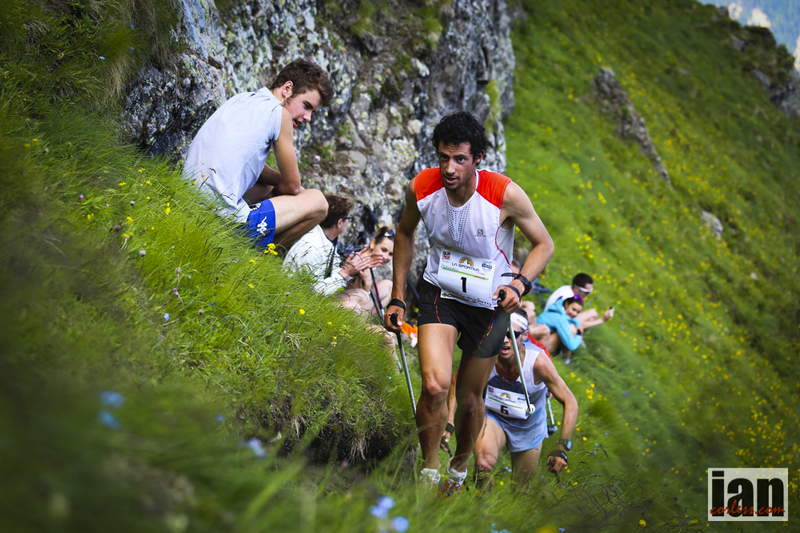 Fulvio Dapit placed 4th at Ice Trail Tarentaise in 2013. Transvulcania will be a test for sure but he does have the ability to create a stir up at the front. Robbie Britton gets the final nod. He has been on La Palma for over a month preparing. He has endurance and speed but lacks the climbing and descending ability to compete with the best Skyrunners. In addition, this will be Robbie’s first Skyrunning race. Without doubt it will be a learning curve but he does have the ability to make waves should all go well. Ryan Ghelfi 4th at Chuckanut 50k and 6th at Lake Sonoma. I will be on the island reporting, photographing and providing news as it happens. Make sure you follow on Facebook, Twitter and of course, here, on this website.